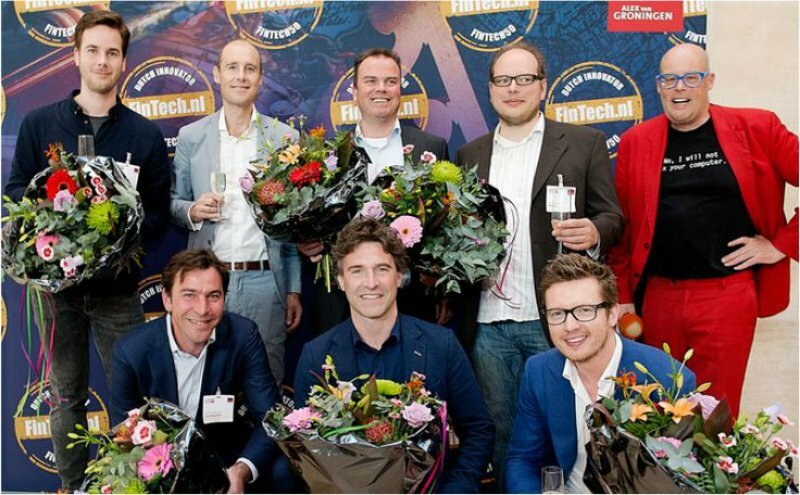 AcceptEmail is delighted to be one of the winners of the Dutch 2015 FinTech Awards. Out of the 50 most innovative financial companies in the Netherlands, AcceptEmail is recognized as the most promising in the Payments category. According to the jury, the main purpose of the Dutch FinTech Awards is to celebrate innovators that shape the future of finance and acknowledge the work these companies did to make a difference. AcceptEmail makes paying bills easy since 2007 so you can’t really speak of a startup anymore. Within five years we've become market leader with 15 employees. Every day thousands of AcceptEmails are sent correctly and on time, replacing paper bills, giros and direct debit authorizations. And with success, says Robert der Kinderen, Commercial Director of AcceptEmail. "Winning this award, strengthens our position as a game changer and we're pleased that we have once again been recognized. What we do is what people want: paying bills the easy way. Paper bills often end up forgotten in the drawer or you have to log on to supplier websites to fetch your bill. By eliminating all the friction, customers face no hurdle to pay directly. That is the concept behind AcceptEmail. And it works. People pay up to 50% faster and the appreciation of customers is high. With AcceptEmail there’s no need to register or log in, payment is super fast and confirmation is immediate. Once you’ve paid a bill using AcceptEmail, the payment status in the email changes from blue to green. That’s how both you and the sender know you’ve paid." Der Kinderen sees considerable growth potential for the company: "The company is accelerating. In the Netherlands many blue-chip companies already rely on AcceptEmail for their billings and collections, like T-Mobile, Allianz, BMW and Santander. Our platform is capable of processing large volumes quickly. Our next big step is to replace all paper bills and reminders at B2C and B2SmallB companies. The market potential here in the Netherlands alone is already more than 500 million transactions. " Other winners of the Fintech Awards are : Symbid (category: SME finance), Bitonic (category: bitcoin ) Spark Holder (category: Intelligence & Analytics) , Bux (Personal Finance) , Five Degrees (banking IT) and Adyen (overall winner) .